Today I’ve got another interview from Scott Persons! Scott’s going to tell us all about his new paper on the tail of Carnotaurus, which follows his paper on the tail of Tyrannosaurus published last year. Enjoy! After the talks had ended on the first day of the Hadrosaur Symposium, I had a bit of free time to visit the galleries, which I hadn’t seen in about a year and a half. 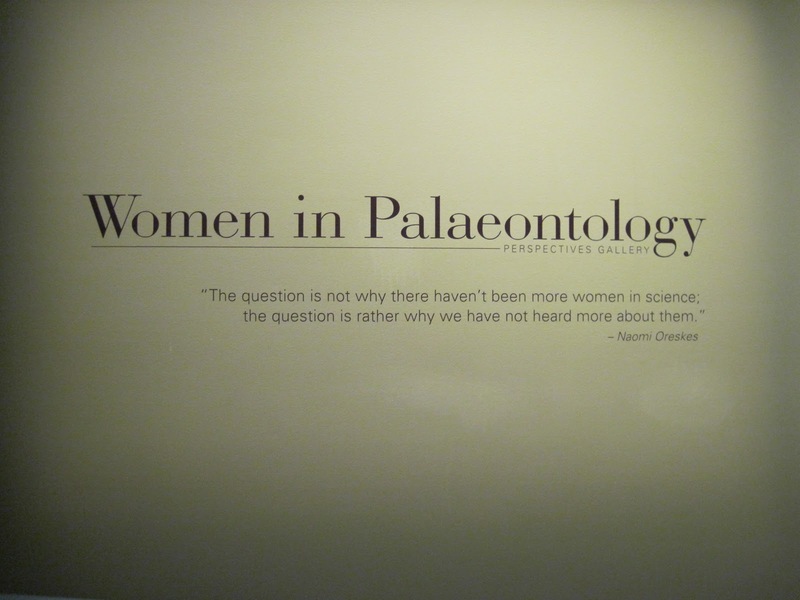 I was expecting the Alberta Unearthed: 25 Years of Discovery exhibit, but was delighted by this unexpected surprise: a short, but excellent, exhibit on women in palaeontology! Located on the ramp up to the Darwin exhibit after you exit Lords of the Land, the exhibit consists of 19 or 20 profiles of female palaeontologists. 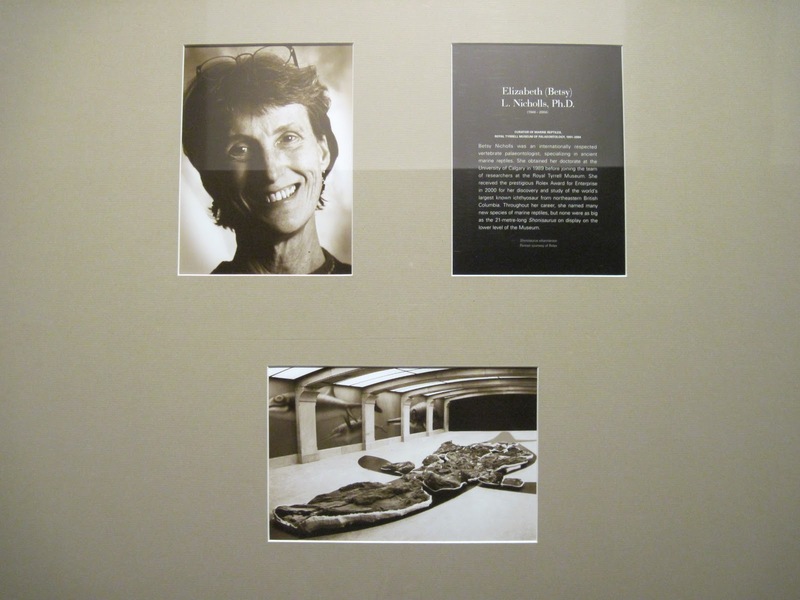 Each framed image included a photo, a brief biography, and an image of a representative specimen or field locality (example above featuring Dr. Betsy Nicholls). I was particularly pleased to see that the Tyrrell had attempted to include women of many different races, nationalities, ages, and career stages, studying a variety of taxa and using many different techniques. I was particularly intrigued the quote from Naomi Oreskes below the exhibit title, “The question is not why there haven’t been more women in science, the question is rather why we have not heard more about them.” Dr. Oreskes is a historian of science at University of California at San Diego, and her paper “Objectivity or Heroism? The Invisibility of Women in Science” is well worth a read (and really, go read it – palaeontology is all about heroism). It’s a sentiment that I share and that I’ve discussed before: although there may not be an equal ratio of women:men in palaeontology yet, we’re definitely getting closer, so why don’t we seem to be as visible as the men? It is certainly up to us to speak up for ourselves, but it’s really, really nice to see a major institution like the Tyrrell stepping up and hosting an exhibit like this. 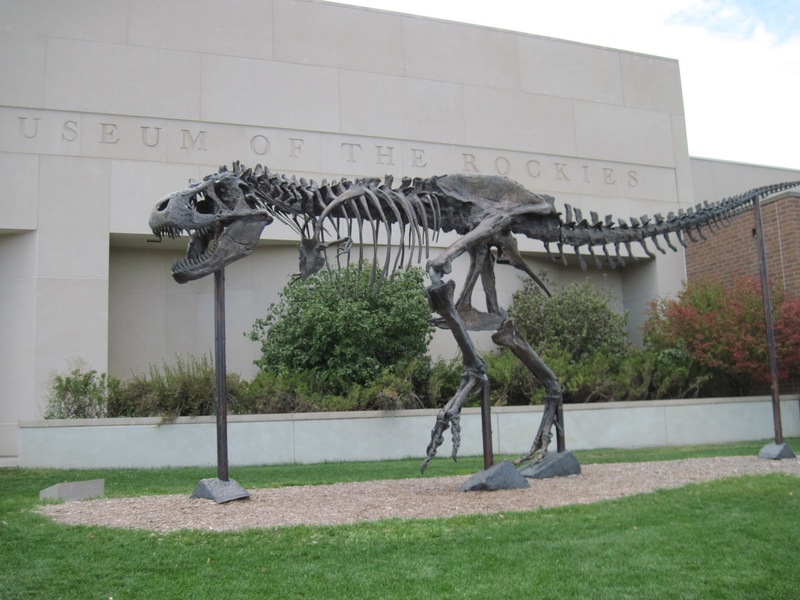 I hope that at least some people will take the time to stop and read some of the biographies on their way to the fossils – if I had one complaint, it is that because the exhibit consists only of pictures in a hallway leading to the main exhibits, that it may be easily passed over. If specimens had been incorporated somehow, as they were with the Great Minds, Fresh Finds exhibit (showcasing the work of the museum’s scientists), that might have been able to grab more attention. Sadly, most people walking through this hallway while I was present would pause for a moment at the entrance, but then skip on through the rest of the exhibit. I realize that space constraints probably would not permit anything more than what they have done, however, and the exhibit is pleasant to look at and rewarding for those who take some time to read the biographies. In particular, I hope school groups take advantage of it and that teachers incorporate questions about female scientists into their activities. I’ll finish here with a very nice video produced by the Tyrrell, featuring Dr. Don Brinkman discussing the work of Dr. Betsy Nicholls, who was a curator at the museum until her death in 2004 and whose work is featured in the Triassic Giant gallery.